The students who attend Bay Middle School, Bay High School and Rocky River Middle School didn’t let an unusually rainy May dampen their commitment to bicycling during Bike to School Challenge sponsored by Century Cycles, Raleigh Bicycles and Chipotle, which concluded last Friday with school-wide assemblies to celebrate the program’s success. And there was plenty for the 2,240 kids to cheer about -- and for the cities' mayors, schools' administrators and program's organizers to praise. Students at the three Northeast Ohio schools bicycled a total of 32,034 miles to school from May 9 through May 27 – enough miles to circle the globe and then some – which saved the environment 35,237 pounds of carbon dioxide emissions. It also saved Mom and Dad $5,795.92 in gasoline expenditures. At Rocky River Middle School, the three-week initiative nearly quadrupled the average number of bicyclists to school per day, from 49 to 193. At Bay Middle School, 430 students (53%) biked to school on average each day; 16% of the school – 130 students – bicycled all 15 days of the challenge despite rainy, chilly weather on many of those days. The highest overall ride day was Wednesday, May 11, on which a total of 1,070 students biked to all three schools. Bay schools marked its fourth Bike to School Challenge by hitting a major milestone – its students have now bicycled a total of 102,803 miles and saved 113,083 pounds of carbon dioxide emissions since the program began in 2008. “I think this is the best program of its kind in America,” said Chris Speyer, vice president of Raleigh Bicycles, a Seattle-based bicycle manufacturer that is a Bike to School Challenge sponsor. Speyer, who also serves as the president of the Bicycle Product Suppliers Association, attended the celebrations to present the grand prize bicycles. Both Bay Village Mayor Deborah Sutherland and Rocky River Mayor Pamela Bobst attended their respective assemblies, praising the students for their bicycling accomplishments and telling them how much they’ve inspired their communities. Mayor Bobst said that the Old Detroit Streetscape project will have new bike racks, and she encouraged the students to bicycle all summer to their destinations. Mayor Sutherland vowed to bike and walk more herself this summer, saying she sees far more citizens riding bicycles in Bay Village since the program began. For regular updates about Bike to School Challenge, visit www.centurycycles.com/to/bts. This afternoon the National Park Service closed the entire Ohio & Erie Canal Towpath Trail in Cuyahoga Valley National Park due to excessive flooding. The bicycle rentals at our Peninsula store are suspended until the Towpath is re-opened by the NPS. The trail closure includes associated parking lots from Lock 39 Trailhead in Independence to Botzum Trailhead in Akron. Please check www.nps.gov/cuva in advance of traveling to the park for updates. The NPS also asks everyone to please respect all park closures for the safety of visitors, resource, and park staff. Please do not drive through moving water or designated closed areas. Century Cycles conducted an online poll last month to ask Northeast Ohio bicyclists "What would make your workplace more bicycling-friendly?" The overwhelming response: We need it all! Showers/changing areas (29%), bike racks/storage (12%), wellness incentives (7%) and bike to work programs (2%) all got their share of votes, but a whopping 50% voted for "all of the above." Where can a workplace go for help? The League of American Bicyclists has a Bicycle Friendly Business program that helps employers rate and improve their bicycle-friendliness, even offering a Bicycle Friendly Blueprint. Where can a bike commuter go for help? 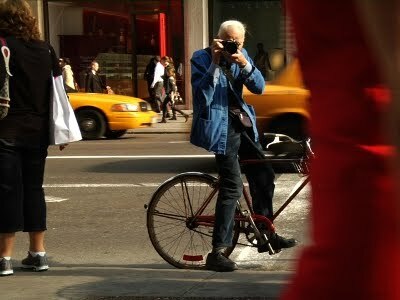 Century Cycles has an online article, 5 Tips: Commuting by Bicycle (http://bit.ly/l0cXjf), with extensive information for bicyclists of all skill levels, including links to more articles and resources. Century Cycles’ staff at their stores in Medina, Peninsula and Rocky River – who are seeing an increase in customers expressing a desire to use their bicycle for transportation to school, errands and work – can also offer personal assistance seven days a week with insights on everything from essential gear to route-mapping. Every year, Bike To School Challenge has a t-shirt design contest for students to create the unique and original artwork that is on the front of the event's commemorative t-shirt given away to every student and teacher who bikes to school just four days during the three-week program. Today we're happy to announce the winning student designs. Emma Tomczak, a senior at Bay High School, designed the front of the Bay Bike To School Challenge t-shirt and it features the bicycle as super-hero along with the message "Save the planet. Bike to school." Her winning artwork was selected by the students of Project Earth Environmental Club, which is awarding Emma with a gift basket of goodies. She also wins a $25 gift card from BTS sponsor Century Cycles. At Rocky River Middle School, 7th grader Clara Sandu submitted the winning artwork for the Rocky River Bike To School Challenge t-shirt (below), in which all the bicycles lead to school and help protect the planet. Clara's design was selected by the student volunteers of the Fuel Up To Play 60 group at the school. Clara will also win a gift basket from the program and a $25 gift card from BTS sponsor Century Cycles. Today at 2:45 p.m., over 500 Bay Middle School who biked to school on this dreary spring day will be celebrated for their two-wheeled accomplishment with free ice cream provided by Honey Hut Ice Cream, a sponsor of Bike To School Challenge. Last week, Honey Hut’s Bee-Mobile served up ice cream to the student-bicyclists at Bay High School (above) and Rocky River Middle School, and today it's Bay Middle School's turn. BMS students average a 4-mile round-trip to school, which on a bicycle burns almost 200 calories and saves 15 pounds of pollutants from the air. That means today alone, when approximately 500 Bay Middle School students biked to school, they as a group burned approximately 100,000 calories, biked 2,000 miles, and saved 7,500 pounds of pollutants -- all well-deserving of a dish of delicious locally-made ice cream! Honey Hut owner Bruce Page (pictured below at right, with Bay High School Assistant Principal Jason Martin) wants to reward students for bicycling and help fuel their bike-to-school efforts. Bike To School Challenge sponsored by Century Cycles, which coincides with National Bike Month in May and Cleveland Bicycle Week on May 16-23, is a three-week program that began on May 9 and runs through May 27 at Bay High School, Bay Middle School and Rocky River Middle School. Students commit to ride their bicycles to school to help the environment, improve their health and beat high gas prices – plus win great prizes and have fun. Last Monday, May 9, 1,001 students bicycled to the three schools on BTS Challenge’s first day and the students achieved 4,624 combined round-trips to school via bicycle during the first week. Century Cycles, Chipotle, Honey Hut, Bay Lanes, and national bicycle manufacturer Raleigh Bicycles are corporate sponsors. In Bay Village, the Bay Village Kiwanis, Bay Schools Parent Teacher Student Association, Project Earth Environmental Club and the Bay Skate and Bike Park Foundation are also sponsors. In Rocky River, Fuel Up to Play 60 and the Rocky River PTA are also sponsors. Fore regular updates, visit www.centurycycles.com/to/bts. Students in Bay Village and Rocky River embraced two-wheeled transportation during the first week of Bike to School Challenge, bicycling a combined 4,624 round-trips to school from Monday, May 9, through Friday, May 13, and filling their Ohio schools' bike racks (and fences- above) to overflowing. During the first week of the three-week program, Bay Middle School students biked a total of 2,530 round-trips to school, averaging 506 bicyclists to school per day (62% of the school). The highest ride day of the week was Wednesday, May 11, when 575 students (70%) biked to school. Rocky River Middle School students biked a total of 1,317 total round-trips, averaging 263 bicyclists to school per day (42% of the school). The highest ride day of the week was Friday, May 13, when 311 students (50%) biked to school. Bay High School students biked a total of 777 trips, averaging 155 bicyclists to school per day (19% of the school). The highest ride day of the week was Wednesday, May 11, when 199 students (25%) biked to school. These high bicycling numbers are in contrast to national averages. Studies show only about 15% of U.S. children bike or walk to school today, versus approximately 50% in 1969. As a result, as much as 20 to 30% of morning traffic is generated by parents driving their children to schools and one-third of schools are in “air pollution danger zones.” More than 33% of U.S. children are now overweight or obese or at risk of becoming so, with many now suffering from diabetes and other weight-related illnesses. Bike to School Challenge sponsored by Century Cycles, Raleigh Bicycles and Chipotle is a three-week program that runs through May 27 in which students at the three Northeast Ohio schools commit to ride their bicycles to school to help the environment, improve their health and beat high gas prices – plus win great prizes and have fun. This is the first year Rocky River Middle School students have taken the challenge. Now in its fourth year in Bay Village, the award-winning program has had a big impact upon the lakeside community. In the challenge’s past three years, Bay Village students have biked 80,052 miles and saved an estimated 82,352 pounds of carbon dioxide emissions. Last year, Bay students also saved $3,857 in fuel costs in just three weeks (when gas cost $2.75 per gallon). 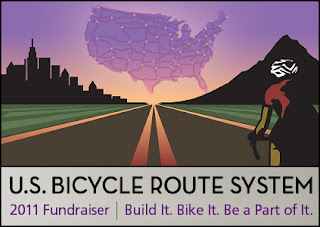 National bicycle manufacturer Raleigh Bicycles has joined Century Cycles, Chipotle, Honey Hut, and Bay Lanes as corporate sponsors of Bike to School Challenge. In Bay Village, the Bay Village Kiwanis, Bay Schools Parent Teacher Student Association, Project Earth Environmental Club and the Bay Skate and Bike Park Foundation are also sponsors. In Rocky River, Fuel Up to Play 60 and the Rocky River PTA are also sponsors. We've been getting several requests in the Peninsula store for a specific type of water bottle. When riding on the Towpath Trail, the dust from the trail tends to get kicked up a lot, causing it to cake on the nozzle of your water bottle. Unless you wipe it off really well before you drink, you can get a mouthful of grit! These bottles solve this problem with a flip-up cover that keeps the dust and other gunk off of the mouthpiece of the bottles. They're made by Nalgene, and are called the All-Terrain Bottle. Just $9.99 each, and they come in white or blue. We've got a few of them in stock in Peninsula; if you'd like to pick one up in Medina or Rocky River, just give us a call and we'd be glad to send one over at no extra charge! Over 2,000 middle and high school students in the Cleveland, Ohio suburbs of Rocky River and Bay Village are taking the Bike to School Challenge sponsored by Century Cycles on May 9 – May 27, committing to ride their bikes to school for three weeks to help the environment, improve their health and beat high gas prices. The award-winning program kicks off this morning at Rocky River Middle School (1631 Lakeview Avenue; student arrival on bicycles: 7:30 to 8:05 a.m.), Bay Middle School (27725 Wolf Road; student arrival on bicycles: 7:00 to 7:40 a.m.), and Bay High School (29230 Wolf Road; student arrival on bicycles: 7:10 to 7:45 a.m.). • Two recent studies have found that biking or walking to school is associated with higher overall physical activity throughout the day. There are many potential benefits of physical activity for youth, including weight control, reduction in the risk of diabetes, and better academic performance. Now in its fourth year in Bay Village, Bike to School Challenge shows students, their parents and the community as a whole that going by bike is a great way to go, especially for short trips around town. The program has had a big impact: Last year, Bay students saved $3,857 in fuel costs in just three weeks (and that was when gas cost $2.75/gallon). In the challenge’s past three years, Bay Village students have biked 80,052 miles and saved an estimated 82,352 pounds of carbon dioxide emissions. And its message is spreading – the program has now expanded to Rocky River Middle School, as well as inspired a school in Oklahoma. National bicycle manufacturer Raleigh Bicycles has joined Century Cycles, Chipotle, Honey Hut, and Bay Lanes as corporate sponsors. In Bay Village, the Bay Village Kiwanis, Bay Schools Parent Teacher Student Association, Project Earth Environmental Club and the Bay Skate and Bike Park Foundation are also sponsors. In Rocky River, Fuel Up to Play 60 and the Rocky River PTA are also sponsors. Students who register for Bay Bike to School Challenge and Rocky River Bike to School Challenge carry a “Ride Card” that is stamped each day they ride a bike to school. Students receive a free event t-shirt from Century Cycles for biking at least four days. The more they bike, the more they can win – every Ride Card they fill up earns them more entries into a grand prize raffle, and they earn twice as many entries if they wear a bicycle helmet. There are also daily incentives: Honey Hut Ice Cream is throwing after-school ice cream parties for those students who bicycle on May 11 (Bay High School), May 13 (Rocky River Middle School) and May 18 (Bay Middle School). Bay Lanes is giving away a game of bowling to every student who bicycles on the last day of BTS, May 27, which is also “1,000 Bikes in Bay” – a day that the entire city and school district joins the bike to school effort. • Bay Lanes bowling party for 10; and much more! • There is also a special grand prize drawing for a Cedar Point season pass for the students at each school who biked every day of Bay Bike to School Challenge. Inspired by a student car boycott to protest high gas prices in 2007, Century Cycles owner Scott Cowan approached Bay High School, his alma mater, about encouraging more bike-riding to school. It was enthusiastically embraced by the students and faculty. Participation in 2008 exceeded organizers’ expectations. In 2009, the program was expanded to include Bay Middle School and spread to Rocky River Middle School in 2011. We're looking forward to seeing many of our friends at this weekend's Tour of the Scioto River Valley! For those of you not familiar with this ride, on Saturday it's 104 miles from Columbus to Portsmouth, Ohio, and then the same route in reverse on Sunday. Century Cycles is proud to take part in our 14th year of serving the over 3,000 TOSRV riders! Each year, Scott Cowan packs up the CC van with clothing, accessories, and parts to create a rolling "store-away-from-the-store" to provide for any last-minute needs of the over 3,000 people signed up for the tour. This year, Josh (also from the Rocky River store) will also be there for mechanical support. This year marks another major milestone for the event; it's the 50th anniversary of TOSRV! Way back in 1961, Charles Siple and his son Greg mapped out the ride on a whim, and decided to ride it over a 2-day weekend. More riders joined the Siples the following year, and the rest is history! TOSRV not only went on to become the unofficial kick-off ride of the Ohio cycling event season, but served as the model for other organized rides around the country. Greg Siple later was one of the founders of Bikecentennial, a cross-country ride done by hundreds of people in 1976 to celebrate our country's 200th birthday. Bikecentennial later became the Adventure Cycling Association, which to this day, continues its mission to inspire people of all ages to travel by bicycle for fun, fitness, and personal growth. In honor of TOSRV's 50th anniversary, Greg Siple has made the journey from the ACA's home in Missoula, Montana, back to Ohio to attempt the ride the full 208 mile route! Look for Greg out on the road, and see www.tosrv.org for more history of this classic spring bike tour! Missed last night's safety fair? You still have one more chance -- attend the Bay Village Bicycle Safety Fair tonight!